Fort Manuel Lisa was started by the notable fur trader Manuel Lisa of the Missouri Fur Company in 1809. Here is where most likely Sacagawea spent her later years. 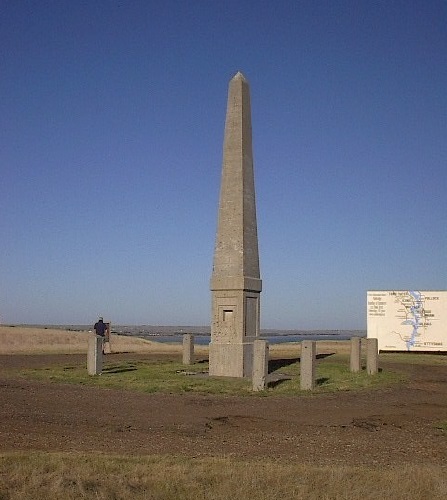 Sacagawea, Charbonneau and Jean Baptiste lived among the Hidatsas for the next three years after the Lewis and Clark Expedition. 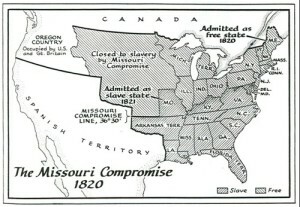 In 1810 Charbonneau decided to take possession of the 320 acres of land he earned for his services to the Corps and moved his family to St. Louis, Missouri. Used to the frontier land Charbonneau did not adjust to his new life working the land and sold his property to Clark for $100. 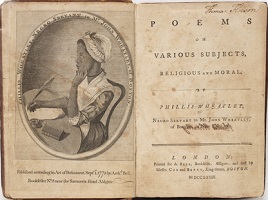 Jean Baptiste was left with Clark and was enrolled in St. Louis Academy, a Jesuit Catholic boarding school. 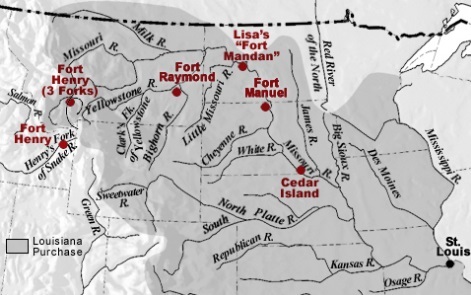 Charbonneau found employment as an interpreter with the Missouri Fur Company and was relocated to Fort Manuel Lisa in South Dakota. Here, in August 1812, Sacagawea gave birth to her second child, a girl named Lizette. Charbonneau’s wife died of putrid fever or typhus, a parasite bacterium spread by fleas. Both her children, Lizette and Jean Babtiste, went on to live with Clark who became their guardian. It is believed that Lizette did not survive infancy. On 1875 a woman living in the Wind River Reservation in Wyoming claimed to be Sacagawea. She died in 1884. 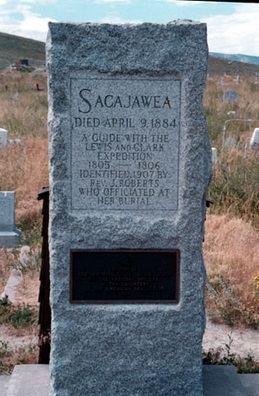 Whether Sacagawea died in 1812 or 1884 is a controversy among historians. Her death has not been clearly established. A memorial for Sacagawea in Mobridge, South Dakota affirms she died on 1812. Sacagawea’s memorial in the Wind River Indian Reservation in Wyoming affirms she buried here and died in 1884. 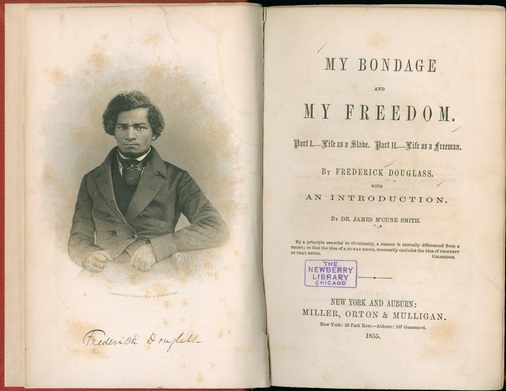 Journal of a fur-trading expedition on the upper Missouri 1812-1813.